Portraits. Poems by Sarah B. Wiseman. Number 10 in the Robin Becker Chapbook Series. Cover photo courtesy of the author, digitally manipulated by Paige Bickhart, using Waterlogue. 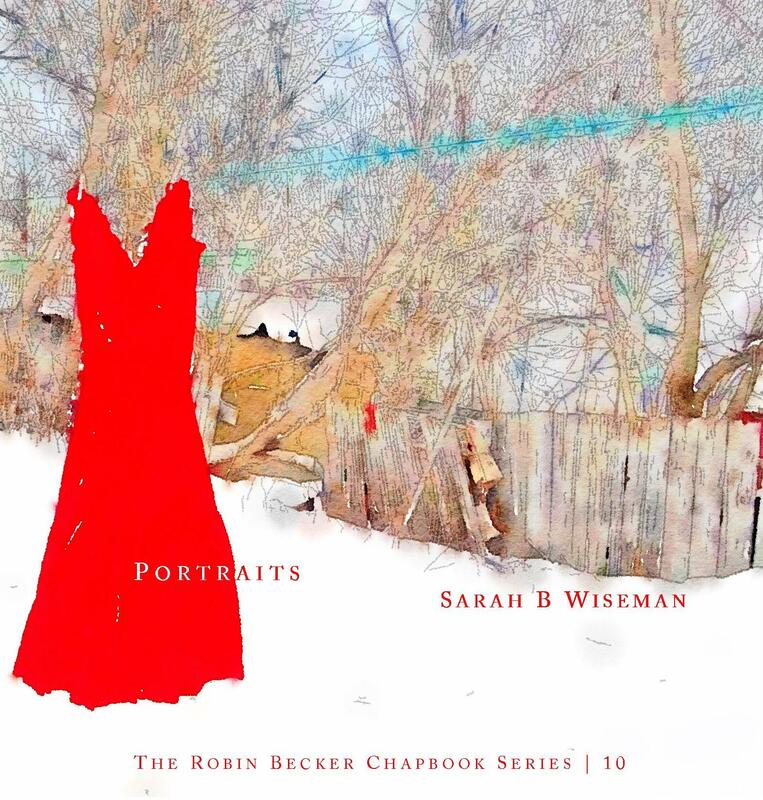 Sarah B. Wiseman is a writer and a journeyperson carpenter living in Battersea, Ontario. Her poetry has appeared in numerous Canadian literary journals over the years. and the sound of his heart followed him there. the sound of their wings resonating there. Click here to purchase your copy of Portraits for $10.50 [includes U.S. shipping] via PayPal, or query by e-mail to sevenkitchens at yahoo dot com.